Heads up...rate increase effective 6/1! Before there was a Glospey Computers, my friends and family would use my expertise to fix their computers. When I started getting referred to their friends and family, I decided that I had to make a choice because I enjoyed doing that kind of work. I could go work for another computer company or I could start my own business. I decided to open Glospey Computers to save clients money and time. I’d heard horror stories about computer shops' pricing and turn-around time. I knew I needed something that would set me apart from my competition. At the time, I could find no other shop that offered pick-up and delivery services to residential clients without having a ridiculously small radius and/or charging substantial amounts of extra money. Also, most of the other shops were only open when most of their would-be clients were at work (9-5). I decided these would be my differentiators! Pick-up and delivery was only the beginning. We have evolved since then. I am now constantly on the look-out for commercial products that I can offer my clients at residential prices. 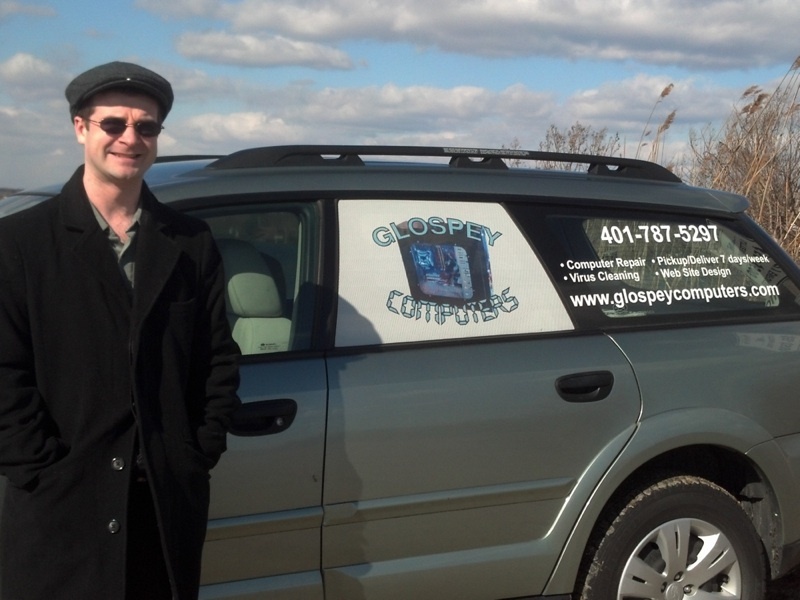 Glospey Computers has grown to now offer contracts, remote support, remote monitoring, and 24/7 services to residential and commercial clients! This has not been without side-effects. I quickly learned that setting my prices too low would put me out of business. Then I could help no one. Raising my prices within the line of my competition did make some of my clients feel betrayed. “How can you say you’re saving us money if you’re the same price as everyone else?” they’d ask. We'd then explain that labor is but one expense when it comes to computers. We save our customers money in other ways. We advise our customers on which products to buy and which to avoid based on budget and intended use. We work efficiently, while on-site, to save our clients' labor on the bill and, if we feel a project took too long, we don’t bill for the whole time. We offer warranties and guarantees on our parts and labor and we honor them. 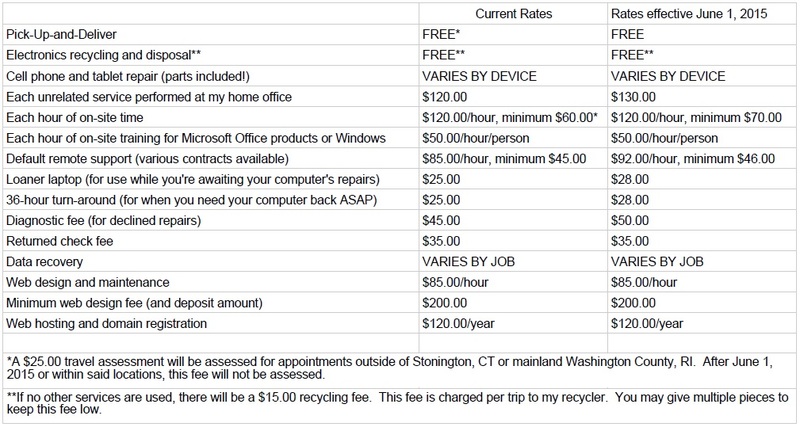 We don’t have a host of hidden fees and charges. Unless the nature of the job changes, we honor our quotes once given. If the job changes, we tell our customers up front if those changes will result in additional billable time or charges. It hasn't been all rainbows and butterflies. Like any business, our work load waxes and wanes. I am a one-man business. When I first started Glospey Computers, if I got too busy, my turn-around times would suffer. I took this a lot harder than my customers since it was one of the very things I went into business to solve. 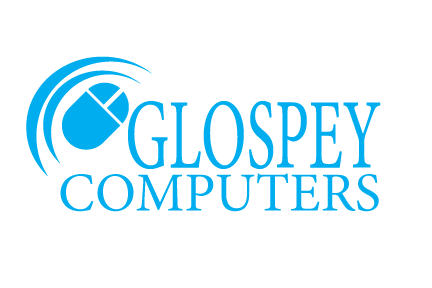 Glospey Computers is a growing computer shop serving all of Rhode Island and south eastern Connecticut because our customers trust us, like us, and appreciate the service and integrity we offer. While we’re not the cheapest shop, we have reasonable, predictable prices. We continue to grow best from word of mouth referrals. We look forward to serving our customers for many years to come. To read testimonials visit our website! Prices and discounts will be changing on 6/1/2015. While we expect these numbers (check out our prices here) to represent the final figures, they are still subject to change. We're posting them early to give you an idea of what they may be so you can plan accordingly.